When Thomas Bosco, general manager of LaGuardia Airport, received word the last gunship out of Iraq would be stopping en route to Hurlburt Field, Florida, the retired Army colonel passed the word to his employees. The Port Authority and LaGuardia workers spontaneously rallied to put together a tribute for the crew in about two hours according to a report from the Air Force Special Operations Command. Emergency vehicles lined the gunship’s path to the gate, their lights flashing in welcome. Members of the Port Authority of New York and New Jersey positioned two fire trucks on either side of the plane. 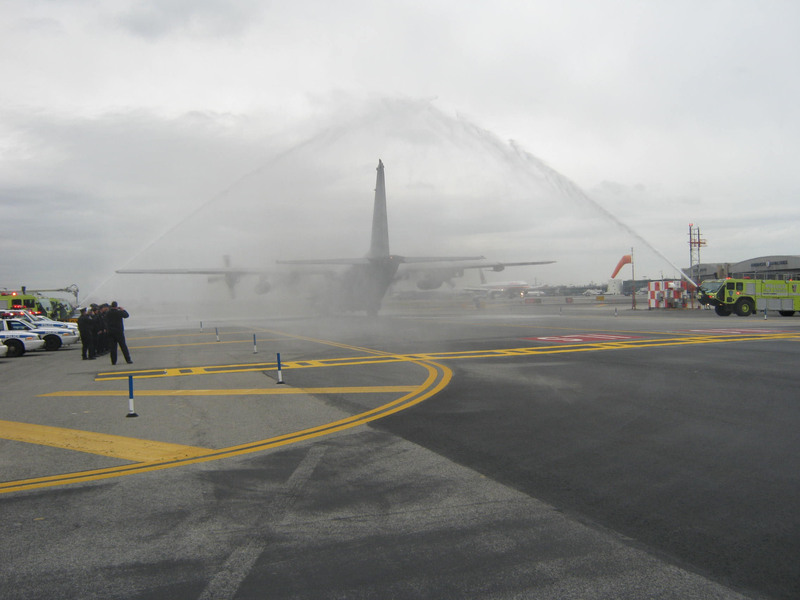 The gunship taxied beneath an arc of water from the hoses of the trucks that served as a salute to the service of American military members. As the crew disembarked, about 50 cheering civilian employees and police officers greeted the Airmen. Some waved flags. Others rendered salutes. The welcome holds additional special significance to the Port Authority workers, and the men and women of New York City. You can read a full account of their homecoming HERE. Members of the Port Authority of New York and New Jersey welcome an AC-130U Spectre gunship to LaGuardia Airport in New York City, NY, Dec. 27, 2011. 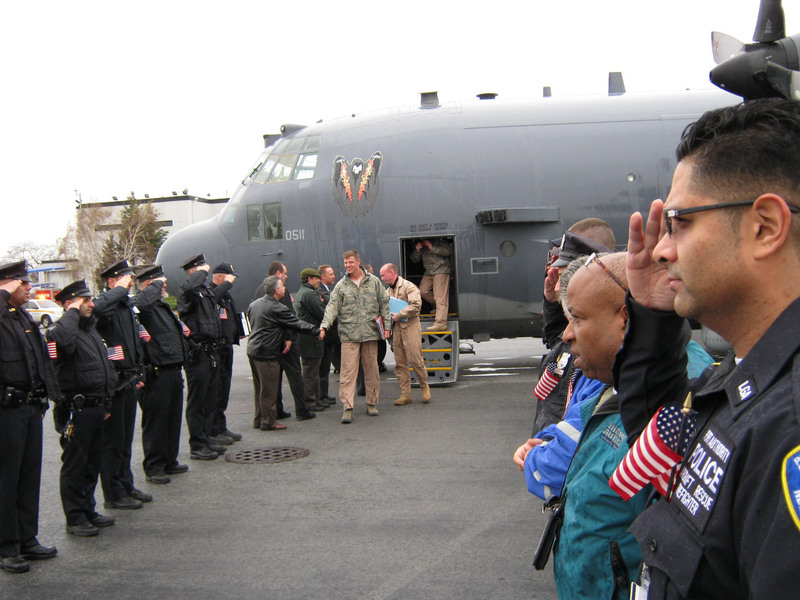 The AC-130 was diverted to LaGuardia where the crew was greeted with an impromptu hero's welcome. Photo courtesy of the Port Authority.